Want to experience the most beautiful and historic places in Los Cabos? We have the perfect service and transportation in Cabo customizable for your needs, visit Todos Santos, historic areas of San José del Cabo, Cerritos, Los Barriles, East Cape, among others, the service includes late model vehicles, unlimited mileage, all passenger and vehicle insurance, water bottles, professional bilingual driver and of course the best service. Los Cabos is known as "Land’s end" as it is the last piece of land on the Baja California Peninsula, due to its proximity to the United States, Los Cabos is influenced considerably by the American way of life in terms of urban services and shopping centers. However, the charm of the village where the Sea of Cortez and the mountains meet is held. This tourist destination is distinguished by two personalities that are dramatically different. 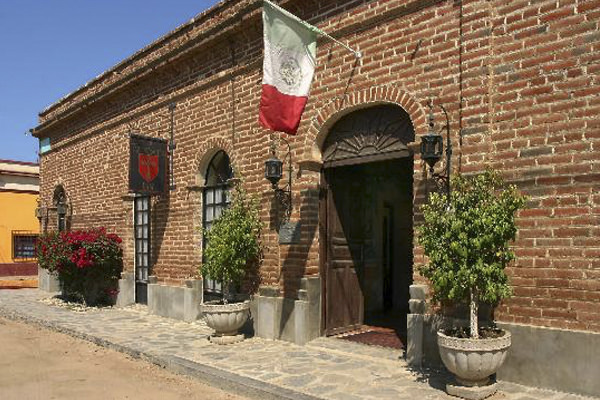 In one end, the quiet San Jose del Cabo maintains the appearance and air of an authentic Mexican town. Cobbled streets, intimate restaurants and boutiques are part of its charm. Furthermore, the thunderous Cabo San Lucas, located across the "Corridor", is the perfect place to party with lively bars and glamorous shopping malls near the marina. The Los Cabos coast extends in three areas: San Jose del Cabo, Cabo San Lucas, and the 33 kilometers that connect both populations, known as "Corridor". In the East, San Jose del Cabo, in the shadow of the trees in the central square and its winding streets, is an invitation to walk more slowly to admire the colonial buildings and browse in boutiques and galleries. Throughout the "Corridor" linking the two towns, you will be surprised by the luxury resorts, spa and huge impressive golf courses that have brought fame to Los Cabos. Along this road are the best beaches known as the best for water sports. Medano Beach, the nearest to Cabo San Lucas, is without a doubt is the best beach to party. Bars, nightclubs and restaurants give sophisticated and eternally glamorous festive atmosphere that defines Cabo San Lucas. It is a very popular destination for retirees due to its relaxed pace of life, full of activities and water sports. This is the most bohemian and cultural side of Baja California Sur. It has beautiful wine areas and tons of delicious seafood to get used to such as fresh fish, oysters, clams and scallops. Todos Santos is located just three kilometers from the Pacific Ocean, 81 kilometers from the city of La Paz and 75 kilometers from Cabo San Lucas. Its mild climate has earned the title of “The Cuernavaca Baja California Sur” (in reference to the city of Cuernavaca, Morelos) because of the beautiful weather enjoyed on an average year round of about 25 °. It has nearby beaches such as San Pedrito, Los Cerritos, Los Estero, Punta Lobos, La Poza and Batequitos. You will also find the famous Hotel California immortalized when referenced in a song by The Eagles. Be amazed at the varied artistic activity of the community as it is home to many festivals and galleries. 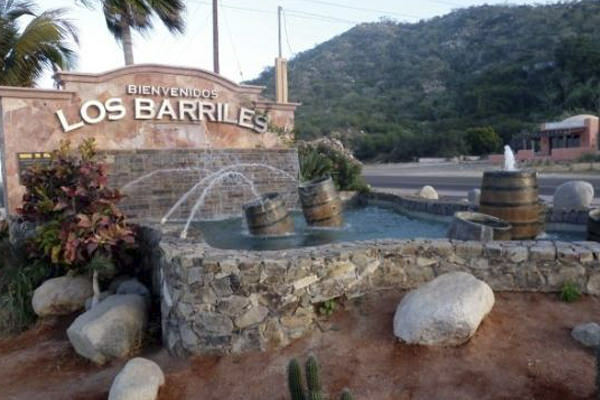 Approximately 100 kilometers southeast of La Paz and 70 miles north of Los Cabos is the unexplored paradise of Los Barriles. This town, an old fishing village, which still retains its old streets and relaxed atmosphere that put Baja California Sur in the eye of international tourism by having virtually deserted beaches is the ideal place for lovers of sport fishing, water sports such as surfing, diving and snorkeling to meet. In Los Barriles, Baja California Sur, you will find the answer to your search for an undisturbed haven of peace and tranquility. It offers the best fishing in the Sea of Cortez; small rustic hotels for comfortable and simple accommodation, without any complications. The contrast between the sea and the desert will take your breath away. 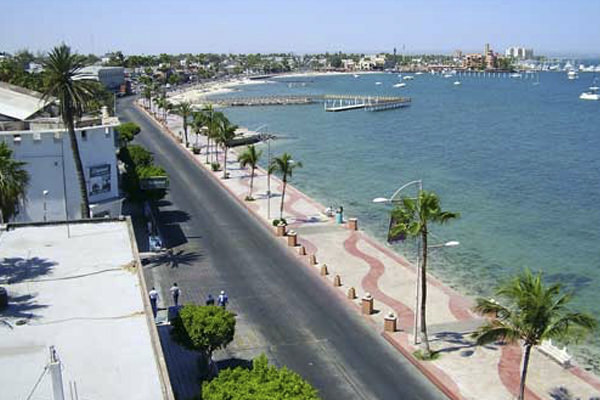 Besides being the capital city of the state of Baja California Sur, La Paz remains a quiet arbor that you will love. It has a nostalgic, small-town atmosphere that will make you think very little has happened here over the decades. The opening of several luxury hotels and a variety of services for fun in the sun, ranging from golf courses and excellent restaurants to museums and restored colonial buildings. Surrounded by desert, La Paz is among ancient laurel trees, coconut palms and dates. You will find El Mogote, a sandbar that is flat desert. La Paz is located in the Sea of Cortez, whom the famous oceanographer Jacques Cousteau dubbed “The World’s Aquarium”. A rich flora and fauna make this place one of the best places in the world to dive. Near the city are deserted beaches, tranquil bays and pristine offshore islands. Inland are deserts, oases and mountains of the Sierra de la Laguna. The unspoiled natural environment attracts anglers, divers, eco-tourists, naturalists, whale watchers and travelers of all ages to this peaceful former of Mexico.